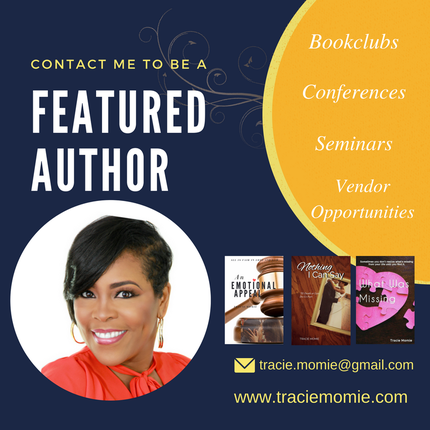 ​My name is Tracie Momie. I write, love to read, dabble in graphic design and have a slight obsession with 80s pop music. I also like superhero movies. I have a Bachelor of Arts degree in Communication from the University of Houston- Clear Lake. My journey to writing fictional stories began when I was around thirteen, which feels like only about ten years ago but in reality it's been A LOT longer! 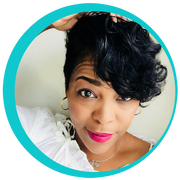 My goal is to provide my readers with an escape that also leaves them feeling both enlightened and entertained. I currently have four self-published novels: ﻿What Was Missing﻿, Nothing I Can Say, An Emotional Appeal and Here You Come Again. BTW, I was interviewed by Voyage Houston. You can read the interview HERE.